Looking to hire an ABLE coach? 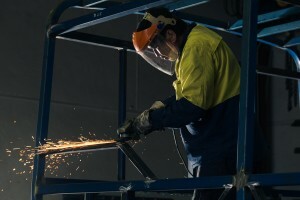 ABLE is one of Australia’s most experienced manufacturers of purpose-built coaches. The name ABLE has become synonymous with robust, safe, comfortable and practical 4WD and 2WD buses and coaches suited for harsh and hazardous conditions. We offer a variety of mine site coaches, tour coaches and school buses with a seating capacity from ten to up to fifty people. All our coaches are custom built and meet or exceed Australian Standards and Australian Design Rules. The hallmark of an ABLE coach is reliability and robustness – the one thing our clients cherish most when travelling in harsh, hot and remote regions. 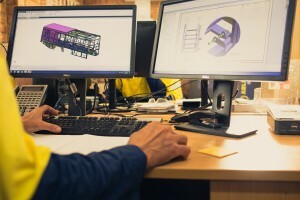 Our coach modules are designed by our own highly experienced in-house design and engineering team and built to perform in Australia’s most challenging environments. Air conditioners are designed and built for extreme heat and vibration. All fittings and finishes have been tried and tested in rugged environments – right down to the door locks, dust seals and hinges. Features such as exceptional ground clearance, ease of maintenance and access, practical comfort and safety are all designed in from the outset. 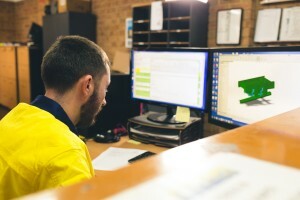 Manufactured in our Bayswater workshop, all stages of production undergo rigorous inspection to meet high standards of quality control and all engineering tests are validated. ABLE coach modules can also be inter-changed from an older cab chassis and placed on a new cab chassis reducing replacement costs. Our clients do not compromise on safety and neither do we. Extensive safety features come standard with all ABLE coaches. These include a built-in Roll Over Protection Structure (ROPS) to Australian Standards 1636.1 and 2294.2 and Australian Design Rule rollover compliance, full size coach seats with seat belts on all seats, driver’s air bag, speed limiter and lockable battery isolater switch. Features you won’t find on many mass produced coaches come standard on an ABLE coach. Proper coach seats and seat belts, more leg room, more headroom as well as practical positioning and fitting of all conveniences increase the functionality and durability of an ABLE coach. All ABLE purpose built coaches are supported by an nation-wide service network developed over the last 18 years. So no matter where you operate, you’ll have access to qualified service technicians as well as the backing of our own comprehensive parts store. ABLE-built coach modules have a 2 year warranty and come with a 5 year structural warranty.